Roses are Red.... and so are Lillie's!! My mom loves flowers and somebody gave her these very beautiful lilies!! 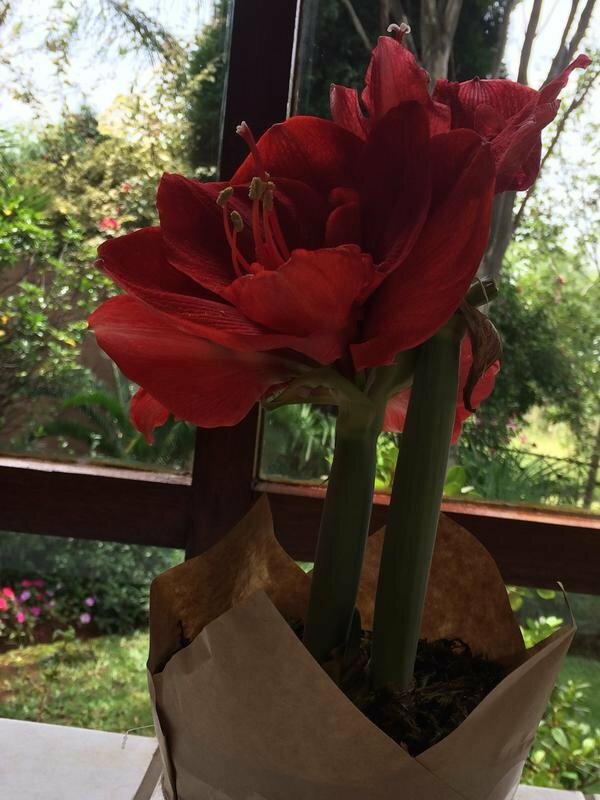 Just look at the number of big flowers on this small plant, it is amazing and very beautiful!! 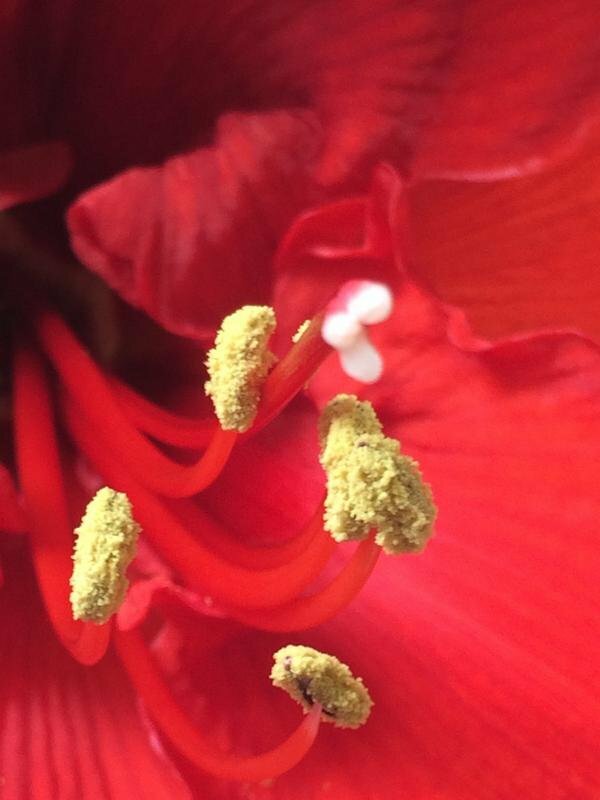 Just look at that deep red color and the contrasting yellow pollen!! 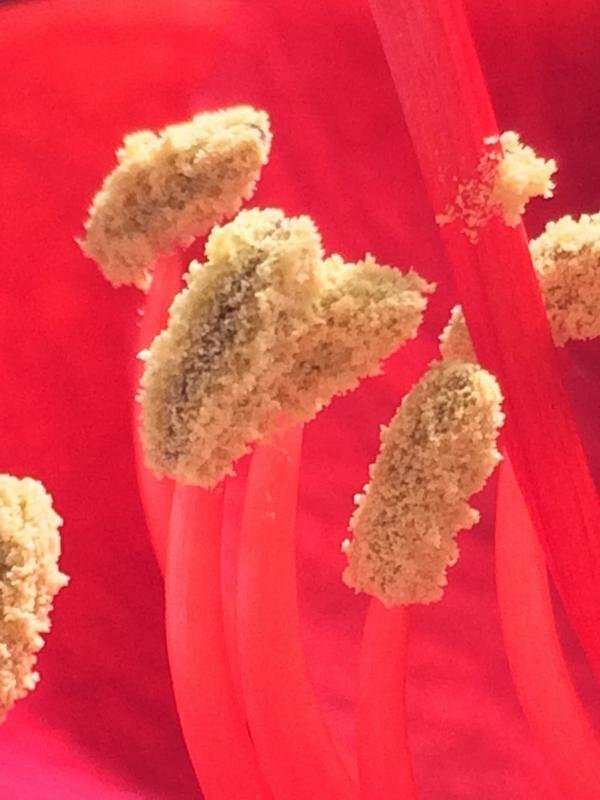 It looks as if the plant's stamen is just exploding with all the pollen!! 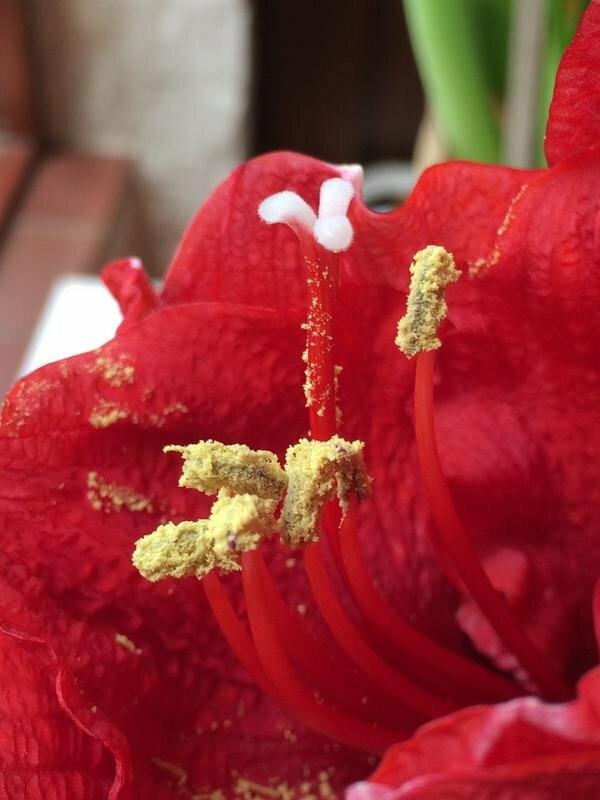 Below you can see the stigma ready to receive the pollen. 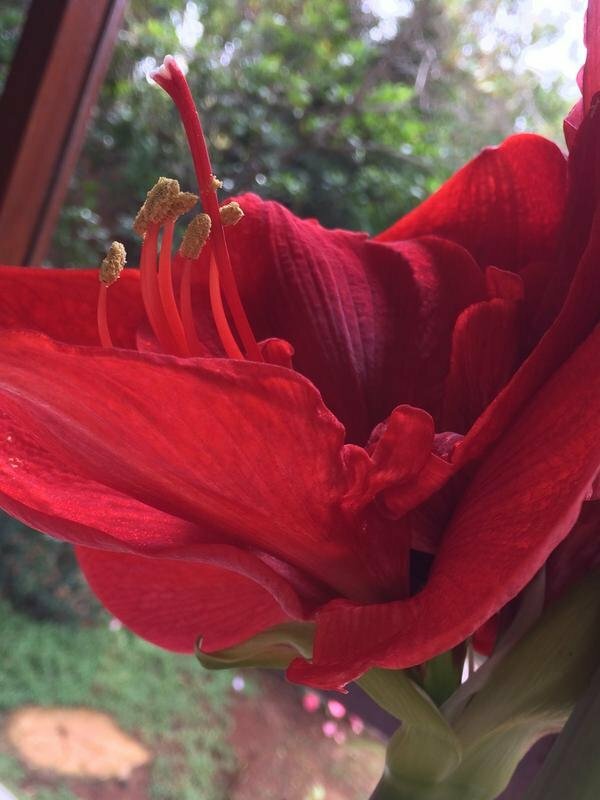 Below you can see this amazing flower from the side!! Just look at how beautiful this flower is!! Below you can have an idea of what the entire plant looks like, it is actually 2 plants in one pot!! I took these photos with my iPhone, in Pretoria at my mom's house, in the Gauteng Province of South Africa. I hope you enjoyed the photos as much as I did taking it. Thanks for the amazing photos! I like the unique close up flower shots. lovely flowers and great photography. Yes, I loved the color!! It's just perfect, God bless Your mum. Wow what a amazing and beautiful flowers. Such a wonderful photography. Keep it up. Wish you avery happy and bright future. 🤐 but but but aghhh oey dokey got it. My Dear Friend Today You'll Talk About " Roses are Red.... and so are Lillie's!!" Roses and lilies are very beautiful, meaning two flowers. The flowers are very beautiful to see, I like two flowers very much. Rose is the symbol of love. Thank you so much for your share. Keep it up. Agreed, and I do love them!! 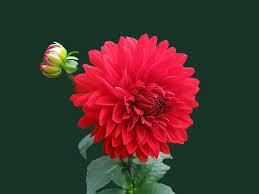 Lovely flower brother @rynow! I love rose flower because it is a symbol of love. 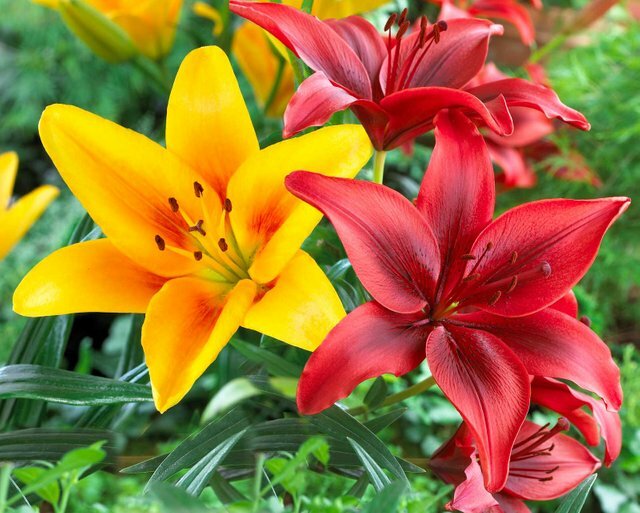 But this red lilies are adorable. Thank you very much for the very nice comment. 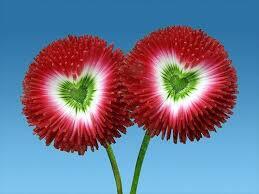 Wow, really beautiful and youthful flowers!! Magnificent red lily you could ever wish to see @rynow. The deep red is so beautiful. great photography its really amazing thanks for sharing this amazing close look of beautiful flower. Wow! These are wonderful Flowers. Red color is a calm. Beautiful flowers photography @rynow. Just awesome. Yes, this deep red is just beautiful. Lovely images. Flowers beautiful with closing. I'm wondering to see lovely flowers @rynow. Those are beautiful and far more vibrant than the lilies we get here. 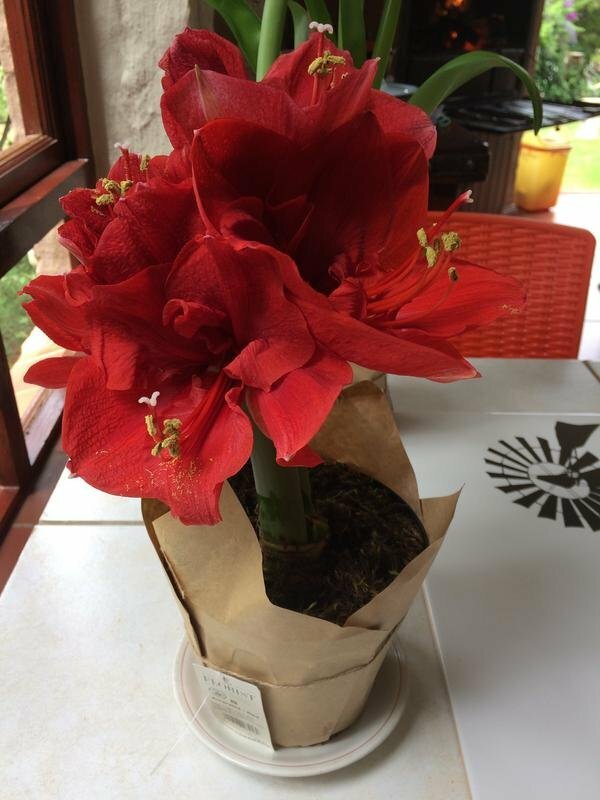 Do you know what type of lily they are? Unfortunately, I don't know, if I remember I will ask my mom during the weekend. Preciosísimas, gracias por este espectáculo de la naturaleza. De nada, gracias por el buen comentario. 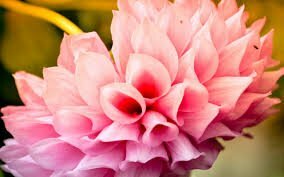 you have described details about the flower beautifully with photography. I am glad, I could show it to you, thanks for the comment. 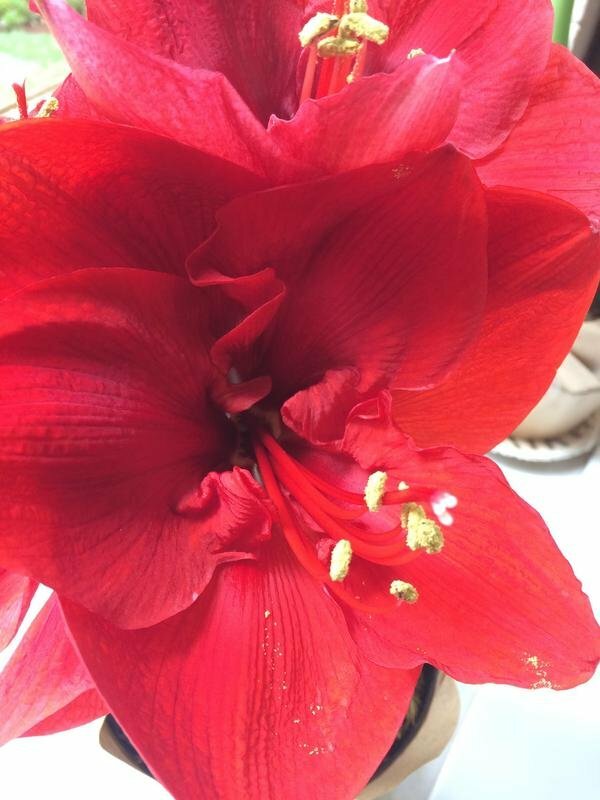 Extraordinary good photography of incredible red colored lilies. The roses are looking extremly beautiful. Sending Gifts is the sweetest way for keeoing your bond strong 😊. 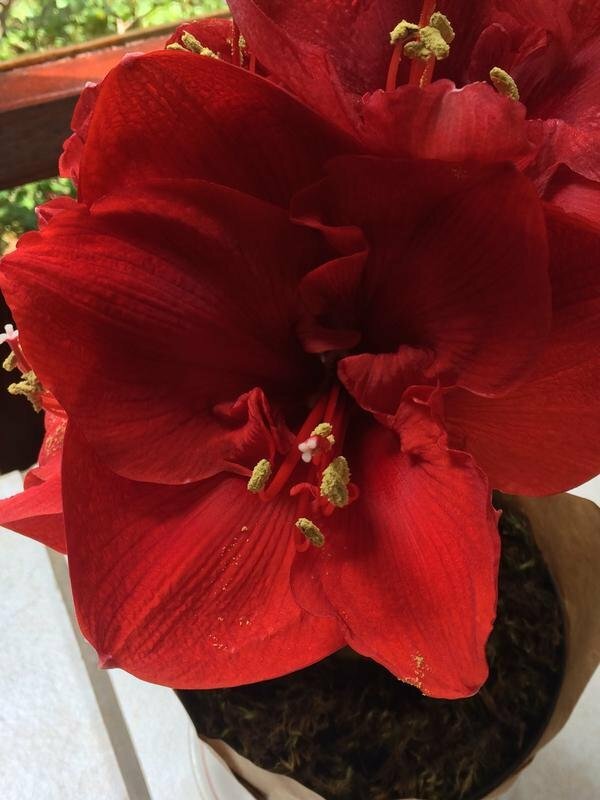 Thanks for sharing these pictures of gorgeous flowers! You are welcome, thank you very much for the very nice comment. Wow, They give us happiness. And Nice Photography too @rynow! excellent photography and great flowers..
lovely flowers and fabulous photography. They do sure look very beautiful and lovely ! Roses are always my favourites. N this one is looking so beautiful. I love roses too, the flower in the photo however is a lily. Nice flowers . Liked it . I love it, thanks for sharing friend. I loved this post and the detail of the photos. I really enjoyed looking at it! Thank you for sharing!